I’ve talked quite a bit in the past about 529 plans. What they are, which ones are good, which ones are bad, etc. Today I want to drill down a bit further and look at which 529 plans are the cheapest. I’m particularly interested in this topic because a recent Morningstar study revealed that mutual fund expense ratios are an excellent predictor of mutual fund performance. Thus, assuming that you’re looking at plans that offer similar investment styles, you should strongly consider the costs associated with each. Of course, there are other factors such as state tax breaks that can offset higher costs (at least to a point) but costs are still a very important factor. In general terms, you’ll find that direct-sold 529 plans are significantly cheaper than advisor-sold plans, which are typically laden with high fees and sales loads. But amongst the direct-sold plans, there is a good bit of variation in costs. 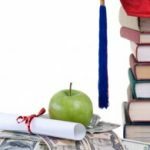 What follows are the ten cheapest 529 plans in terms of annual account fees (most are zero) and investment expenses. The data come from a study by SavingForCollege.com, and I’ve also included the current “star rating” (out of five) for residents and non-residents in brackets after each entry. Note that the Kansas plan offers both a direct-sold and an advisor-sold version, so the less expensive direct-sold expense data was used. 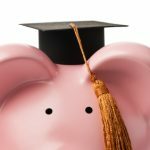 If you’ve been contributing to a 529 plan, I’d love to hear the details. Which plan? How did you choose it? And how do you like it? And remember… You have until the end of the year (12/31) to fund a plan for 2010. While some states will actually give you a state income tax deduction up until the filing deadline, your contribution will count against the gift tax exclusion for the year in which it was made. I’m a Kansas resident, so went with the local state plan. Glad to see that my option (direct buy) rates so well. Hopefully the munchkin (currently 19 months old) will have at least a couple of years paid for by Mimi. I helped my Dad set up 529 plans for him to gift money to his grandchildren. We did the research maybe 3 years back, and decided on the Ohio plan, using the Vanguard funds (I think there are other more expensive funds to choose from, too). At the time, it was one of the cheapest plans. I think maybe Utah COULD be cheaper, but you needed to have high balances to avoid low balance fees (or something like that) – that steered us away from that plan, and towards the Ohio plan. I’m using the Louisiana START plan, and I’m glad it made a Top Ten list. The investment options are limited (which is good for those who don’t understand investments but bad for those who want more options). Most of the options are Vanguard funds, which have low expense ratios. The plan itself doesn’t have a fee above and beyond the ER. Two other benefits: 1. You already mentioned the state tax deduction. It’s a minor thing, but a good one to have. 2. They have a contribution match. I’m getting 2% matched for what I put in every year. – Up to 10K of State Income Tax Deduction for couples! I’m surprised IL and NY direct plans aren’t on the list with expenses of 0.21% and 0.25% respectively to invest in Vanguard funds. Some 529 plans make the list because they have a single, ultra-low fee option like an FDIC insured deposit account or VIIIX, but expenses on something diversified can be much higher. It’s the expenses of the assets you plan to invest in that matter most. 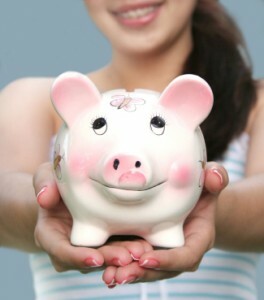 I am using the MA plan because I already had a Fidelity account. I grew up in MA so that was enough of a reason to choose that over the other 4-5 Fidelity-run plans from other states. NY Plan is what we use; it’s managed by Vanguard, expense ratios are pretty low (typical Vanguard of course), and most importantly, there’s a state tax deduction on up to $10,000 per year (for residents). It’s never listed as one of the best 529 plans, but I think it’s pretty competitive with others, and the deduction is the huge kicker of course.